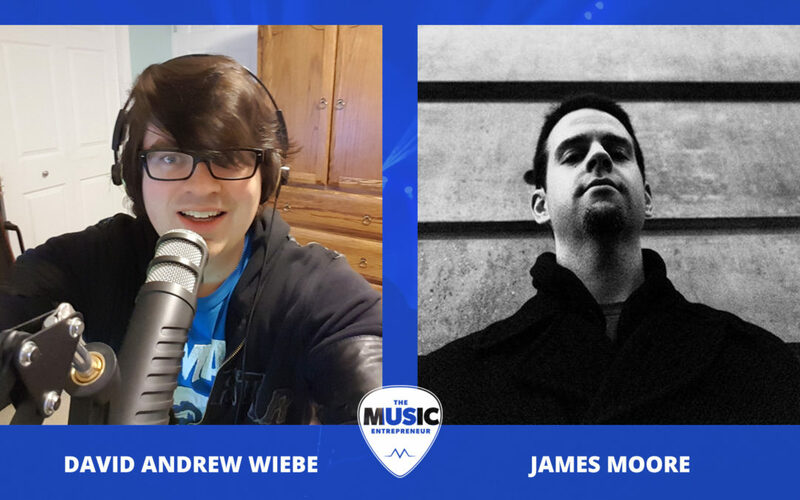 David Andrew Wiebe and James Moore hop on Skype to chat about self-publishing and book promotion, guest blogging, music marketing, delegating responsibilities within a company, books they’re reading, and much more. 01:14 How well has your book done? 08:04 Are musicians taking advantage of online resources? 14:42 Will you be publishing more books? 17:24 What is Independent Music Promotions? 24:56 What advice do you have for anyone writing a book about the music industry? 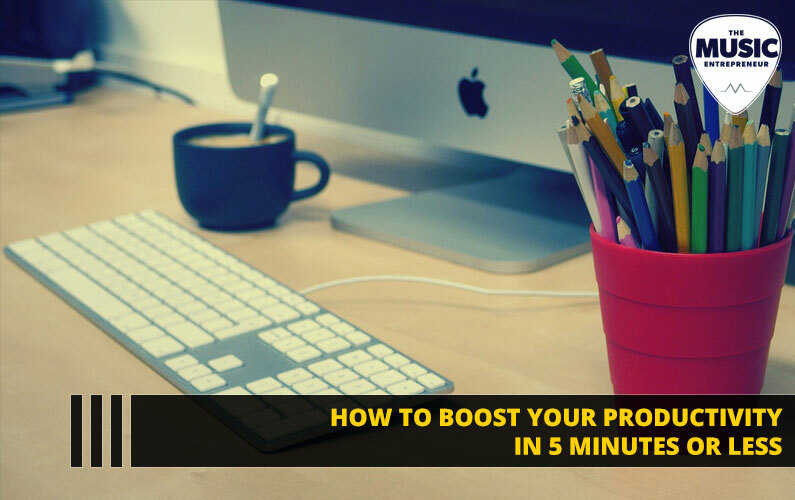 27:39 What is the most profitable aspect of your business? 28:19 How do you get Amazon reviews for your book? 30:39 What kinds of content do musicians engage with most? 34:18 What are some good sites for music marketers to guest post on? 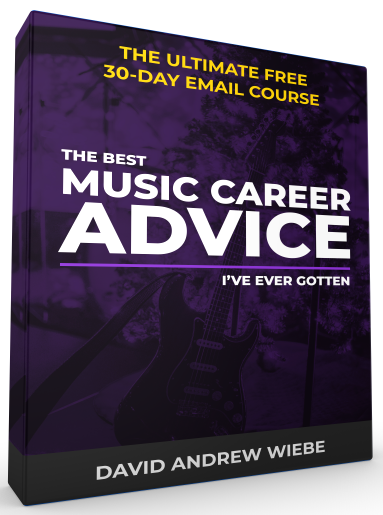 35:48 What are some of the biggest things you’ve learned about music promotion? 38:52 What books have impacted you? 42:26 What role do you play in your business? David: I’m with James Moore, CEO of Independent Music Promotions and author of Your Band Is A Virus (get it on Amazon US or Amazon Canada). You also wrote the foreword for my new book and frankly my book wouldn’t be what it is if you hadn’t stepped in and asked, “is that it?” So is there anything else you would like to add to that introduction James? James: No, that is perfect. Thanks so much for having me. 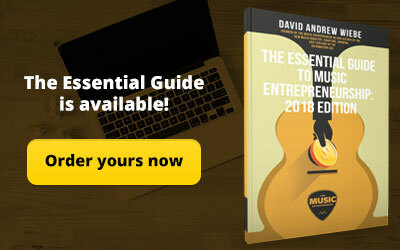 David: It’s a real pleasure to be able to talk to you and we have gone back and forth on email over the years, I guess ever since I was blogging with TuneCity. So it’s good to be able to finally have a real chat. Before going any further, I want to let both you and the listeners that I’m going to be asking a lot of selfish questions today. So it’s going to be a little different from the interviews I used to do. It might be kind of like listening in on a conversation at Starbucks or maybe even a mastermind call. James: That’s the best way to do it. David: Yeah, I think so. So you certainly don’t have to give me any number,s but how well would you say your book has done over the last few years? You kind of mentioned earlier that it’s almost served more of a purpose of being a calling card than anything else, right? James: Yeah, as far as the sales themselves, you know, both digitally through Amazon and also through Amazon’s CreateSpace, physically, I don’t have the exact number. It’s likely close to 5,000 sales but, you know, I mean, over time, it’s really become apparent to me that the main benefit of writing a book like that is really the calling card purpose, you know. So many good people and good musicians have found me through reading an excerpt that I offered to, you know, a blog or a guest post that I wrote. You know, some of them bought it off of Amazon and then read it, say, a year ago and then they just had it in their mind that they wanted to work with me. So that helped their intention, you know, to sort of get everything done and as the years progressed, they have the studio time and do their mastering, get their graphic designer ready and then they approach me and it’s really a good feeling and my favorite part of it, those kind of one-and-done endeavors is, you know, there can be a lot of procrastination involved and it can be difficult for people to finish whether it’s an album or whether it’s a book or something like that. But once it’s done, it’s permanent, and it can benefit you permanently. So it’s been great, yeah. David: It’s true, yeah, it can be very much the same way with recording on CD or a book, you end up procrastinating or you just don’t get around to putting the finishing touches on it and then it can sort of be a drawn-out process. But you mentioned CreateSpace, you know, I was kind of dumb and I found out about CreateSpace later, so then I have a separate distributor for my e-book and for my paperback version or physical version of the book. Did you go about it the same way as well, or are both offered through CreateSpace? James: It wasn’t until later that I discovered CreateSpace. So by the time I released the expanded version, the 2012 one, I believe I released both at the same time and CreateSpace is just linked to Amazon when you publish digitally. James: So, yeah, very simple. I mean, I think if people knew how simple it was, more of us would do it for sure. David: Exactly. I think if you’re going to be self-publishing some kind of book then CreateSpace seems to be the way to go and it’s probably where all future releases I put out will probably go through. David: What are some book promotion strategies that have worked well for you? James: My main idea about promotion, no matter the genre, is just to get in front of your audience somehow. So, you know, luckily, I mean I was kind of surprised when I got into the music marketing and music promotion niche that it’s actually quite small and it’s, I mean, it’s actually shocking how few searches there are for general terms like music promotion, music marketing, which really makes me wonder how many musicians are actually digging in and, you know, interested in this stuff. But that also made it easier for me to know who to reach out to. 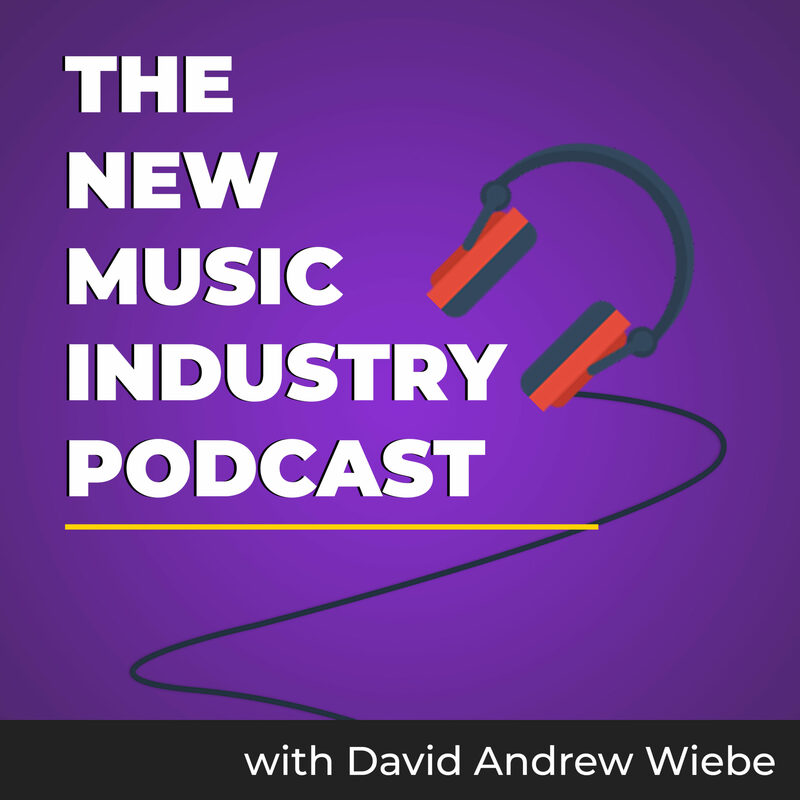 So pretty much any music industry publication, music marketing publication, podcast like this one, anywhere that musicians are looking for information or resources for advice, I wanted to, you know, personally reach out to all those place that I could, usually offering exclusive content that tends to be what they want. So whether that be an original guest post on aspects of marketing, an interview, maybe an exclusive excerpt from the book and, you know, it was a really great community. I ended up just getting a lot of support, you know, book reviews as well on industry sites. It was kind of a grueling process. I did that intensely for about three months and I still to do it to this day but, you know, lesser. But the thing that I enjoyed about the process is once again, it helps you permanently. Every article, every guest post, you should never think that it’s work because someone could see that three years from now and contact you. So it’s great. 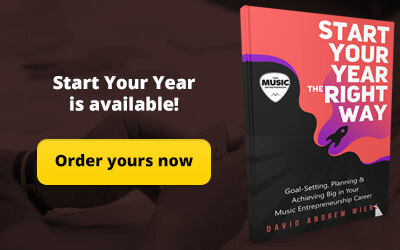 David: And these days I am trying to leverage my connections and kind of ask them if they would be willing to share about their latest album release or something like that for my blog. Sometimes I feel like the content they produce is, I don’t want to say better, it’s just a different perspective than what I might have to say on the subject and people enjoy almost that candid review into what an artist’s process is. David: And also interesting what you said about searches and keywords. I was looking at Google Trends recently, so there are a couple of things that I found depressing. One being that “music” as a search term is kind of just slowly dying off. And to be replaced by sort of some longer-tail keywords. I actually found out that “online music promotion” is apparently a trending term right now, so it’s interesting to see but I think you’re right, there may not necessarily be a ton of artists online reading and looking for things actively. But I don’t know, I think it’s really important to sort of call yourself on your own lies, you know? David: No, that’s funny to me totally because sometimes the only promotion I do for a blog post is it automatically gets tweeted out and shared on Facebook and Tumblr and places like that. I think it’s, you know, it has to be some kind of gateway into the blog post or people would never even want to check it out. But sometimes I agree, you know, you’re just as guilty of not, I guess framing your promotion within a story or a message that will actually attract people to it. So I told him, I said, and this is what a lot of artists don’t know, never, ever, ever reach out to someone through their Facebook page. That may sound strange. I’m talking about not the personal page but the actual, the profile page. It may sound odd but over the last five years, I know this is true for just about everyone else, through the IMP Facebook page, I would say that 99.99999% of the messages have been spam. Like complete spam, not personal at all, and completely off-topic and not even clear as to what they want. You know, they would be saying, “Share this,” “Come to my concert in Liverpool,” or wherever. “Write for us,” that kind of thing. But the way to get hold of someone is always their official site. How much engagement are you going to have in messages if it’s that much spam? So a lot of artists are going around doing that, just messaging, messaging, messaging these music Facebook pages and it’s all to no avail. So for anyone listening out there, it’s all spam. James: Yeah, exactly, or you know, another example is sort of posting on the page either as a comment or the post to page feature on Facebook. That is almost 100% spam as well. So it’s just, I think musicians would see a lot more results if they just, when they want to contact someone, use the official site contact form, you know? David: Yeah. And my tip there is always to personalize. I’ve even seen messages from various marketers that maybe want me to share their content or have a look at it and I’m always open to that, I love to do that kind of stuff. It’s just more of a thing of, well, you know, try to address what’s in it for me first or at least say, “Hey, I loved your latest guide that you published over here. Could you take a look at mine, too,” kind of thing. James: Yeah, exactly. You know, I think also the mutual benefit is a good thing to frame. If you’re offering a guest post or some sort of mutual promotion stating that you’ll be sharing their work in return for something, maybe a social media follow. Just kind of saying, it’s critical to be clear in your communication. I get a lot of emails where it’s clear that they’re musicians and they have a link and they would definitely like me to check it out, but there is no clear stating of what you want and you’ll get so much higher results if you are able to just communicate what you want. That’s a big thing like in business and in any aspect of life. David: Exactly, just kind of stating what the value is upfront and then sharing what it is that you’re after, I agree. David: Do you have plans of releasing more books in the future? James: Not at the moment. Things are quite busy with IMP. So my day-to-day is really kind of uni-tasking on artist campaigns and looking at new ways to expand the results we get and, you know, be able to deliver more for the artist. So that’s where most of my research lies. So less time for the writing. But it could definitely happen. I mean, I’m always reading new music business information. But I think it would have to revolve around new central ideas that are not fleshed out yet. For the moment and I’m very happy in my day-to-day and lately a lot of, besides IMP, it’s just about balancing. I’ve had my head down this business for years now and you need to also have balance in your life: meditation, exercise, all that stuff, family. David: Right. Absolutely. I think so often what we fail to do, I guess, is either as kind of freelancers, self-initiators, or entrepreneurs, is delegating. We don’t leverage the connections we have, we don’t hire people, we don’t assign tasks to other people that are totally capable of handling them and then we would lose that balance that is needed if you want to take care of yourself and have health and exercise and have a family life, then leveraging tools and systems and people is huge. James: Yeah, and, you know, also there is this tendency to think that if you don’t work all the way through that you won’t get as much done. But you actually get a lot more done when your life is balanced and work has it’s place and it shouldn’t be the whole day. Work has it’s place and you can approach everything fresh. David: It’s a tricky one and I’m still figuring that one out for sure. 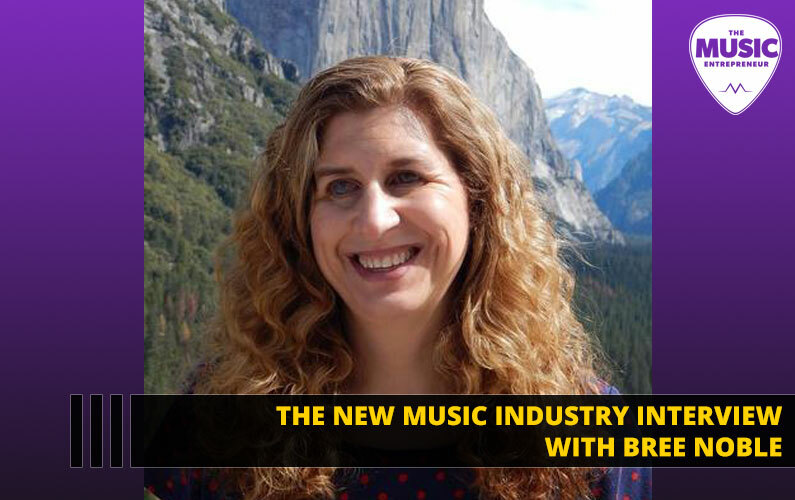 So why don’t we talk a little bit about what Independent Music Promotions does and what it offers artists? So I mean, for me personally that takes me…I grew up on everything from Nirvana and The Beatles to Tom Waits, Public Enemy, PJ Harvey. It’s a wide variety and I’ve gotten into just about everything since then. But I wanted to start a PR company that was choosy, so saying no to certain genres like idol pop and the music that I see as just straight to radio, you know, possibly just for the business side of it. So I thought it would be unique to have a company in this niche that isn’t the most respected, but do it with a kind of DIY spirit. So there is that aspect and that’s how I got the music with depth niche. That to me, I don’t like that model. 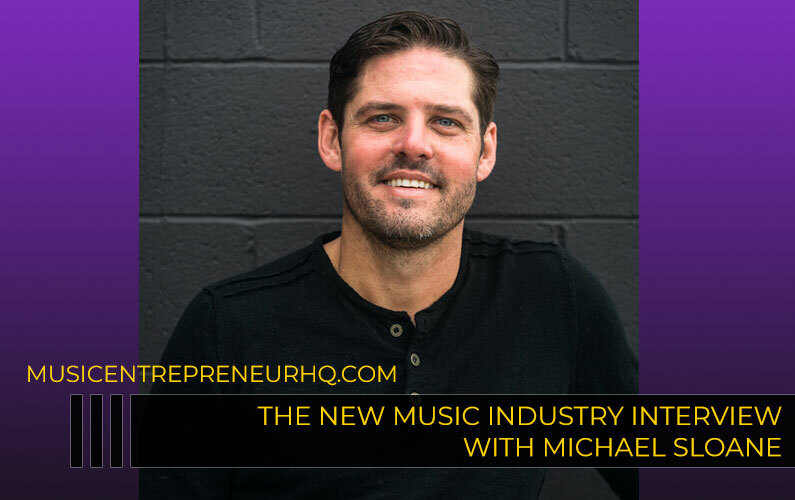 I think that, you know, it’s your responsibility if you’re in the promotion field to, you know, to have a sense when you say “yes”, when you choose an artist, that you have an idea out of your contacts who is going to really be into them and you have a strong idea that they’re going to get covered. So I don’t think there is any excuse for getting no coverage for artists. So yeah, that’s what IMP does basically. We are a niche press based service. We deliver reviews, interviews, features in blogs, magazines, music, and other publications. And we also service internet radio and podcasts. And yeah, like I said, we have that DIY mentality and I take on artists that…I do all the choosing of the artist myself and I run the campaigns and I choose artists that I really like and I like the people as well. David: Yeah. I think referring back to something you said earlier, there isn’t enough people doing kind of the music marketing side of things out there. I actually chatted with Derek Sivers but that was many years ago now. But he kind of hinted at the idea that music marketing or marketing as a service will always be something that’s valuable and I feel like in today’s crowded space that’s never been more true. James: I think so, too, and it’s, you know, largely because time is extremely valuable. That’s the reason why any service, you know…that’s the reason why you may pay someone to clean your house or do your website, because there’s a lot of things that you technically could do yourself, or you could spend the time to learn how to do something yourself, but when you’re trying to achieve something, outsourcing is critical. And I do it myself. With IMP over the years I worked with a professional SEO specialist and that helped greatly with that web presence. I worked with a Google AdWords professional. Yeah, I mean, because basically those were things that I’ve since learned quite a bit about. But, I mean, it would have been way too taxing to wear every hat. So really that’s, I mean, that’s where we come in for artists. The way I see a musician, I think that they should be at the heart of it, that they should be pulling all the strings. So everything needs to be covered. If you can’t cover yourself, you have to outsource. David: I think those are some great tips right there, and maybe to alleviate any fears that might exist around hiring or bringing someone on board to do other work, I don’t know if anybody listening would agree but I find that when I do hire somebody on, generally it’s an opportunity to grow the business and to focus on creating more revenue models, and when I do hire somebody, the business actually grows and it’s not a huge burden or an expense, most of the time. James: Yeah, I think so, too. I mean, you know, it’s really a question of everything is all mine, now, it tends to be. So if someone does a good job, like if I’m going to go to a T-shirt manufacturer for my band, I’m going to do the Google research first. I would see what the feedback is about them. Make sure no one is complaining. “Your shirts look horrible,” or anything like that, right? Because everything is so public and if someone’s unhappy these days, you can bet they’re going online because when you feel jipped, you want to ruin that person or that business. Everything is very public, so in deciding who to go with or whatever you’re looking for, Google has the answers usually. David: Yeah, those are great tips for finding the right people as well because you won’t always be meeting people in person that do SEO or do PPC ads. David: Yeah. I think you definitely want to see what people are saying about them if possible. So I’m bouncing around a little bit and it’s sort of a funny question because you actually gave me a lot of advice for my book, but what advice would you have for anyone that’s writing a book about the music industry today? James: I would say, I mean, all perspectives are valuable because they’re unique. I think that the only reason why I found that a lot of musicians related to my book is because I felt free to just express myself according to my own experience, philosophically, spiritually, and granted, my own opinions and values are in that book so not everyone may agree with it, but I would just say let it resonate with you. Don’t try to be any other character. If people are going to relate to it, it’s going to be your inner feeling. I guess the other advice will be to finish it. Finish it because once you’re finished, it is so simple to do the rest of the publishing. I told him, ,”No, just simplify, just self-publish, it’s very easy. You can get an editor through Craigslist. Check out their work, they’re professional. Can they convert to Kindle format, all of that? Easy breezy.” So I think it’s important not to make a mountain out of the very quick and simple process at the end. David: Yeah, and to affirm what you’re saying, this book for me was, I mean, the first version of it was scrapped entirely and I started from scratch because I wanted to write something that was true to me. So I totally agree, I think it’s important to write something that resonates with you. And I can sort of guess from the many things I’ve heard about books that your answer to this question isn’t going to be your book, but what would you say is the most profitable aspect of your business? James: I would say it would be the campaign services themselves. That is really, I mean, at first it was the book, but you know, as the book gets older, it’s selling less and less. So yeah, it’s definitely the day-to-day of the business, the actual campaigns. David: How do you get positive customer reviews for your book on Amazon? Is it kind of a numbers game, or do you have to kind of directly ask your following to go and do it? James: Yeah, I definitely try to direct as many people as I could. If I get an email from someone whose letting me know why they appreciate the book, I try not to waste that opportunity and, you know, let them know I’d appreciate it if they took a moment and left an Amazon review, because pretty early on I found that…I mean, Amazon’s network is pretty incredible. And the way that it’s setup, it’s a little different than Facebook and Google because Facebook and Google continually change their rules, whereas Amazon is one of the few websites in sales or online stores that the way that they have everything set up actually makes a lot of sense. It’s really consistent. People who bought this also bought this. Like their whole recommendation software is brilliant. So the more sales you get, every review that you get really does a lot in establishing you in their network. So yeah, I definitely try to push it as much as possible. David: Yeah, and I guess it’s similar with podcasting as well, where if you’re in iTunes and you get a bunch of reviews, it increases your exposure to more people. So I’ve heard it works pretty similar on Amazon with when you get more customer reviews. James: Yeah, exactly. You’re right about iTunes, people want to be where the high lives, you know? So if you see a lot of feedback, a lot of five star reviews, the curiosity comes in right away. Whereas if there is nothing there, it’s kind of ironic but you need people to be there for more people to get there. David: Yeah. In your experience, what types of content do musicians tend to engage with most? James: I mean, I think that with whatever you’re doing you tend to be your own customer. So like I ended up writing Your Band Is A Virus because I wasn’t really pleased with some of the music marketing books out at the time and I didn’t find them to be actionable enough, there was a lot of stories that I didn’t feel were relevant. So I think musicians tend to really like if there is two things. One is actionable things. Something they can do right now. 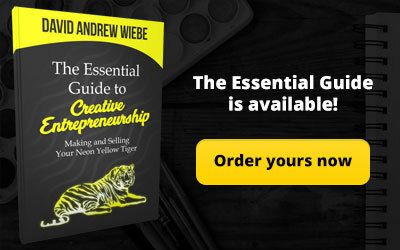 One of the main faults of motivational and entrepreneurial books and that whole genre is that you could read books from the most successful businessmen and really have nothing to show for it as far as an action plan. Whereas, if you get actionable advice, like if you get for example the Facebook advertising technique of a CEO of a big business, now that’s something. Then you can login and set that up right away. Implement it and you are moving. So I think actionable things are critical for musicians. The musician reads an article about, say, Patreon and it tells them how to set the profile and how to get going there, how to start promoting it. Now that’s really exciting because they can do it now. The other thing I think musicians value is maybe completely revolutionizing a point of view. Like if they read an article on something that is totally counterintuitive to how they were thinking before, and it gives them a new inspiration, they figure they can act on that, too. At least those are the two things that excited me. David: Well, I know what you mean. I read a book per week and there is a definitely, you know, a percentage of them that are inspiring and possibly even life changing and cause me to act, and then there is the other type of book which sort of, it might even be well intended but somehow doesn’t really inspire any action within my life. And that difference can often be subtle but you want to continue to find those books, I guess, or write content if you’re a content creator, the kinds of things that people can immediately take action on even if it is maybe a huge project or task that they’re going to have to undertake. James: Yeah, like I find when I’m reading. you’re scanning for a wake up moment, you know? And there’s moments where you’re reading through and you’re reading through and you come to the conclusion, no this is all kind of filler. But yeah, the goal is the opposite. David: Yeah. In your experience, what are some good places for music consultants or music marketers to guest post on? James: Music Think Tank is a bit of a nexus for the industry and a lot of musicians read their articles because just about everybody posts on there and as a result they choose the best material for the main feed on the front page, so it tends to be a really valuable mixture of ideas. Sites like Sonicbids and Bandzoogle, they all have their own blogs. Performer Magazine, I have gotten to write for them a few times and they definitely have some good articles on there. 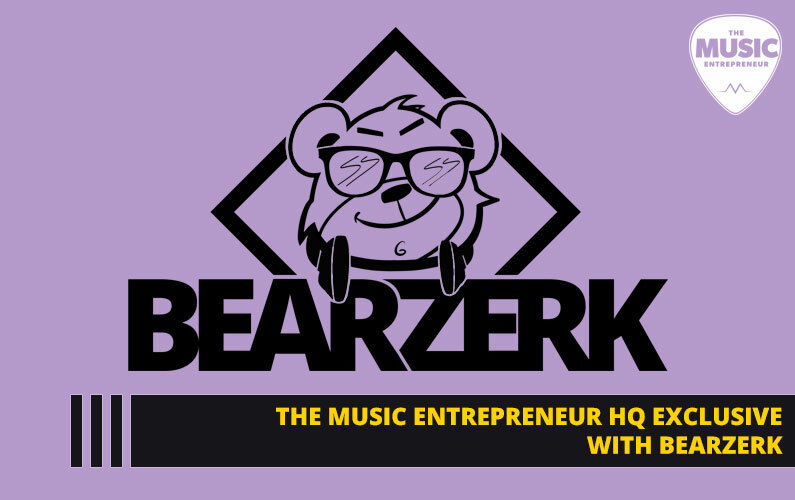 Quite a few, there is quite a few really good independent music industry sites for musicians out there that normally come under the terms music marketing blog, music promotion blog. Lots of great podcasts, too. David: Yeah, I figured Music Think Tank would probably come up. I’ve been thinking about posting there for them. Again, I have to stop thinking about it and actually do it. You’re in the music promotion world so I would like to ask, what are some of the biggest things you’ve learned about music promotion? James: I think I constantly learn about really the perseverance and resilience it takes to continue on your path as a musician and not be dissuaded. I see a lot of artists get bent out of shape if they’re not famous within two weeks or they’re not in the biggest magazine in the world. And then I’ve seen artists who are much bigger, much further along, just consistently hard working and they are the humblest and yet the most passionate, but what I see basically is how the inner attitude, or the inner passion, really is what it’s about in this life. And it’s those kinds of people who celebrate every small success and just continue walking on their path. It’s those people who succeed and it’s the people who hold negative ideas and kind of throw tantrums when something doesn’t go right, those people never do well. The other thing I’m really an advocate of is doing rather than demanding analytics. Artists who demand analytics from the starting line, I find they don’t do well either, because they always find reasons not to act, not to advertise, not to move forward with whatever the next step for their project is because they can’t see that it’s a 100% chance, definitely going to be profitable within 30 days. So that’s something I really take to heart. I just do, I like trying things. I like jumping in. David: That makes a lot of sense to me, too, sort of having a long-term perspective and being positive, you know, things happen to everybody and all we have is a choice and how we respond and the attitude we have towards it. James: Yeah, you just said the perfect term, long term perspective. It’s so important and it’s easy to lose, like if you have a short terms perspective, you’re going to be upset all the time. David: Yeah. Absolutely. We’ve been talking a lot about books, so are there any books you’ve read recently on the past that have really impacted your thinking or approach to your career? James: Well, as far as in the music, I tend to read a lot of books on meditation, spirituality, stuff like that. That tends to be a lot of my daily reading but as far as music business books, one that I was really impressed by and I do recommend to artists because it has a really nice overview of most aspects of the industry, it’s called Get More Fans: The DIY Guide To The New Music Business (get it on Amazon US or Amazon Canada) and it’s by Jesse Cannon and Todd Thomas. But yeah, if you look up “Get More Fans” on Amazon, it’s really good and, you know, they’ve worked with, these guys have worked with bands like The Dillinger Escape Plan and I just thought it was well done. David: Yeah, that’s funny because I actually chatted with Jesse Cannon a couple of months back and it makes sense based on everything that he mentioned, I could see how his philosophy would kind of match with yours as well and why you would take to that book. I definitely need to read it, too. James: Yeah, because I mean, I’m always learning, too, and like I have no affiliation with Jesse other than sending him an email to thank him for the book, but yeah, I like to kind of pass it onto my musician audience if I find something that’s really good because, it’s kind of where you find something with the right intentions and high quality. David: Yeah. You can also mention, maybe, one business book or one personal development book that’s really, that you’ve really taken to right now, if you’d like. James: Yeah. Well this book is, it’s really old at this point but I think to change…like as a potential life changer Timothy Ferriss, The 4-Hour Workweek (get it on Amazon US or Amazon Canada), that is probably the first book that inspired me to go it alone, to work for myself, to release a book and to work at it, you know, and you try a few things and you fail, and then you keep on going because the mindset is no nine to five. I’m going to provide a service, I’m going to create a niche, I’m going to do it myself. So The 4-Hour Workweek is really, it’s more important now as a complete attitude-shifter than anything else. But I highly recommend it. David: Awesome. Heard so much about it, haven’t read it yet. I will definitely need to, I think it’s on my list. David: I’ll look into that. And I guess to wrap up this interview, I want to ask a few business questions. Unfortunately we could probably talk about business for hours because everybody kind of has it setup differently, you know, there’s unique aspects to business that we couldn’t probably distill into 10, 20 minutes. But one question I have for you now is, how do you see your role? Obviously you’re CEO but some CEOs or founders kind of see their role as marketing, but depending on how the business is structured they might see it as the product too, so what does yours look like? James: As far as, sorry, could you repeat the last part there? David: Sure, I was just saying that some business owners kind of see their primary role as marketing, right? So if as an owner like they go, “Okay, my number one thing is to make sure that we get more clients and that’s my focus.” Whereas depending on how the business is setup, some business owners view the product as their primary responsibility because maybe that product is tied to how they market it or the ecosystem of the business itself. James: Yeah. As far as my role, my main job is to make sure that every single campaign gets the attention it deserves and I put myself in the client’s shoes. So I have certain standards of what they need to receive in a campaign. So that’s really my job is working with good people and making sure that they get the resume boost, the press boost, you know, that I promise on the site and so that’s the main role. And as far as information, our articles on the site, having chats like this, it’s basically just to be honest about what I know, what I don’t know, what I feel works. So providing value in both those roles. That’s the only thing that can make me sort of once I finish my work day, all right, I feel good about it and I can put that in its proper place rather than have lingering worries or anything like that. David: Yeah, and I guess that’s probably partly where the distribution of responsibilities goes, right? It’s just the infrastructure of your business to use a kind of a big word. But it’s really just about how is it set up, right? What other people, what are their roles and how do they execute on a daily basis kind of thing. James: Yeah. Well, and that’s why I’ve managed every campaign myself, because I wouldn’t really want to hand it over, at least at this point. I work with many people quite closely, bloggers and journalists and press release writers and so forth, but yeah, I prefer to run everything myself. David: Yeah, I totally understand that. Have your finger on the pulse of the work that you’re trying to do for your clients, right, because you care about the outcome. So I can certainly appreciate that. Well, is there anything you would like to plug and where can we connect with you online? 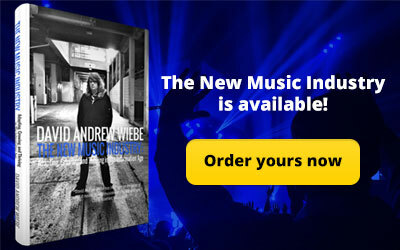 James: You can get through to me through independentmusicpromotions.com. That’s the best place, I mean, artists will find hundreds of music marketing articles. We have some great writers on the site and it’s also the best place to find out about what we do and get a hold of me. Yeah, and that’s mainly what I’m doing these days. David: Awesome. Well thank you so much for your transparency and generosity in sharing all this information with us. It’s definitely been quite juicy. James: Well thanks so much for having me. David: All right. Thanks, I hope to chat again soon.